A few fantastic photos of Toyah on the original Rebel Run Tour, which played 19 dates between 25th November and 17th December 1983. View more photos from that tour at Dreamscape’s LITL & More Gallery. 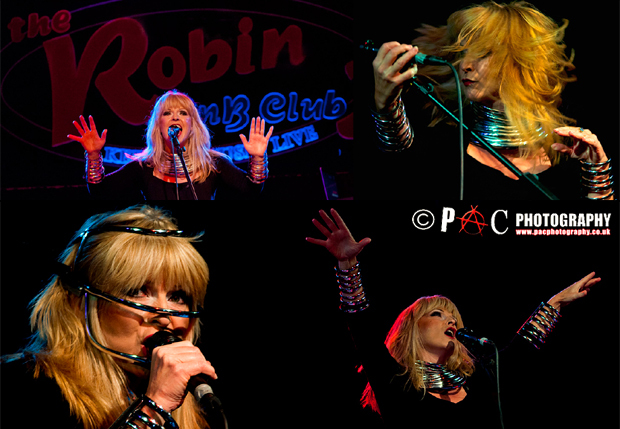 We are into the last few days of Love Is The Law Month, and Toyah has now completed over half of the LITL & More Tour. The next date is Halloween in Bristol (ticket info here). 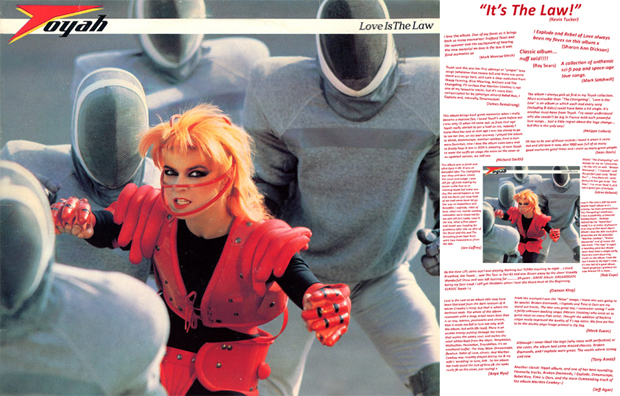 Back in 1983 there was a hectic promotional schedule for Love Is The Law, with interviews in numerous magazines and music papers, and Toyah guesting on many TV shows, including a performance of ‘Rebel Run’ on Jugendbund. A five star review, of Toyah’s gig at Concorde 2 last night, by Brighton & Hove’s The Latest. What a night everyone had! Toyah Willcox is back with a vengeance in her new tour full of new and classic hits. She not only refined her singing voice so it had a beautiful rock-opera style to it, but also kept the staging and props simple, yet with scope to be dramatic. • Continue reading at The Latest. Love Is The Law: Officially 30! Love Is The Law was released exactly 30 years ago this week. It entered the UK Album Chart the first week in November, eventually peaking at number 28. The album was reissued, with bonus songs, on CD in 2005 and to mark 30 years a digital release, with even more bonus songs, was made available this year. A review of the opening gig of the Love Is The Law & More Tour, by Jo Oliver of Jowheretogo. 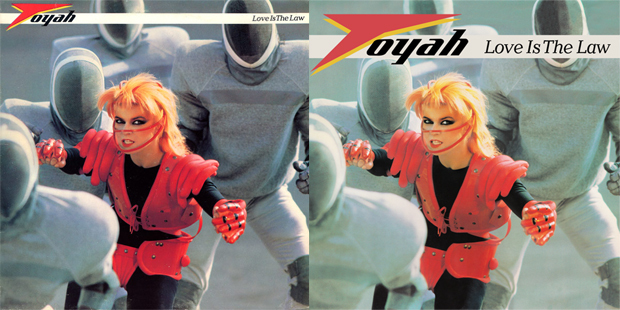 Toyah is on tour to reanimate the 1983 album Love is The Law, and this she did. She expressed in her interview with me on NE1fm this week, her love for the album, and the fact it represents one of the best years of her life. She said this again tonight. Toyah is a natural performer. Decades of acting, performing music, voiceover work, interviews and taking whatever the showbiz world threw at her has given her an amazing ability to present these songs in the way only she could. Her voice has, if anything, become stronger, more resonant and quite beautiful. She looks utterly at home still being the Toyah we remember. • Jo has been at ‘ne1fm’ since last November and over the last year she has interviewed people like Toyah who she never thought she would ever get the opportunity to talk to. ‘ne1fm’ is a small community radio station, its been around many years, but cuts in funding have threatened its continued existence, and sadly unless the station receives some much needed financial help it may vanish in only a few months. If anyone could think of a way to help I know Jo and everyone at ‘ne1fm’ would be very grateful – Visit Jo’s Facebook. Tomorrow there will be a Love Is The Law & More news catch up at Dreamscape, along with other bits & pieces from the past week or so. Stay tuned for press, reviews, photos and more! Toyah performs ‘Dreamscape’ from the album LOVE IS THE LAW for the first time in 30 years on the “Love Is The Law & More” UK Tour at Manchester Academy on 19.10.2013 – A huge thank you to my wonderfully thoughtful longtime friend Paul Lomas for sending the song for the website. Here’s hoping last night’s opening gig went amazingly. 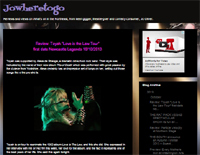 Toyah plays Manchester Academy tonight… Dreamscape created a fan opinion “wall” for The Changeling 30th Anniversary website last year so I thought it made sense to follow that with one dedicated to Love Is The Law. Earlier this year I asked fans for their thoughts about the album. And here they are… Click to view the wall. Love Is The Law & More – Tonight! Toyah’s, much anticipated, Love is The Law & More Tour gets underway tonight. The premiere gig takes place at Legends in Newcastle. Wishing Toyah, and everyone attending the gigs, a successful and happy tour.